Medium Project 6-4, Kitchen Remodel » Roger Perron Inc. Here is the kitchen remodel and addition we performed. 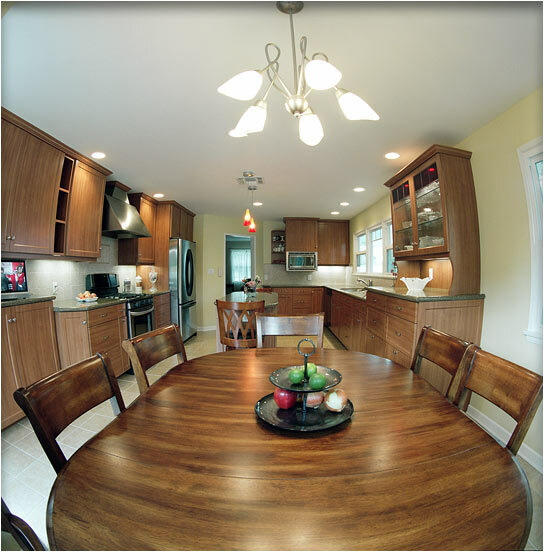 The cherry cabinets are customized for the owner’s exact needs. The tall hutch cabinet to the right was constructed so that the stairway well below it, which leads to the basement, had clearance and didn’t obstruct the kitchen floor plan (so most of this base cabinet is just a façade).